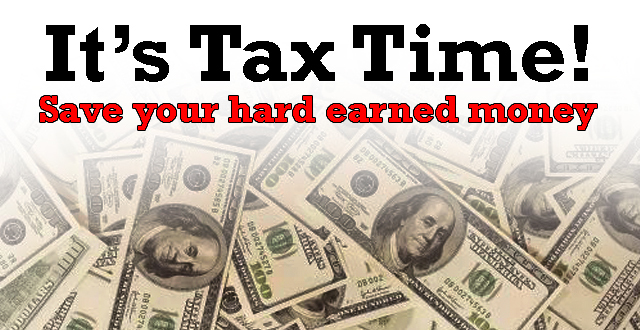 What’s Your Choice Penalties or Paying Taxes on time? Working behind the wheel is not a job where everything is scheduled; chaotic would be a simpler description of hindrances faced by the hard working, ever busy men and women in the Trucking who almost work round the clock for the betterment of the Nation. Many non constant factors affect their lifestyle HOS, weather, loading and unloading delays, appointments, breakdowns, traffic, etc. Also depends on what they haul, Flat beds don’t usually get unloaded at night. Most shipping hubs are 24/7 but not all receivers. Midst of all these things, time with their beloved ones happens once in a while. Truck Drivers go through a lot of stress because, of heavy traffic, long hours, low pay, increasingly difficult regulations, unrealistic delivery schedules, and a lack of respect for the profession in general. Only folks in Trucking Community know how difficult it is to do the job and how necessary it is for the country to exist and how most people have little or no respect for us or for what these living super hero’s do. To the rest of the world Truckers are nuisance or a moving obstacle if not a hazard. All the above mentioned details are facts faced by every Trucker, listed above are few drops from the ocean of problems faced by Truckers. One more trouble Truckers normally run into is not meeting their Tax deadlines, they do not do it purposely but it tends to slip out of their minds in their busy schedule. If they fail to file their Taxes on time, it’s for sure that the IRS is not going to spare them. Penalties, Interests and lot more are on the way once a Tax Deadline is missed. Now that we know about the consequences of missing a Tax Deadline, Let’s not miss the upcoming Tax Deadline that falls by the End of the Month. Federal Excise Tax Form 2290 otherwise known as Heavy Vehicle Use Tax (HVUT) is due by the End of this month for Vehicles first used in the Month of February. For questions & queries feel free to reach www.Taxexcise.com / www.Tax2290.com – A product of ThinkTrade Inc., The First ever IRS Authorized & the ONLY DECADE OLD E-file Service Provider for E-filing Federal Excise Tax Form 2290. Do not wait until last moment call us anytime @ 1-866-245-3198 or write to us @ support@taxexcise.com or Ping them Using the LIVE CHAT Option on the website. This entry was posted in 2017 - 2018 HVUT, 2290 e-file provider, 2290 for 2017 -18, 2290 Mobile App, E-file 2290 Tax, Efile Now, Electronic Filings, Federal Excise Tax, file form 2290, Form 2290, form 2290 online, Heavy Vehicle Use Tax, IRS Authorized E-file provider, IRS Updates and Tax Tips, Schedule-1 Copy, Tax 2290, Tax Form 2290, Tax2290.com, TaxExcise.com, Truck Tax Form 2290, Truckers Need and tagged 2017 tax form 2290 filing, 2290 due date, 2290 e-file, 2290 filing, 2290 online, 2290 online filing, 2290 tax, 2290 tax filing, 2290 Tax Form, 2290 truck tax, Due date for IRS Tax Form 2290, efile 2290, Federal Heavy Vehicle Use Tax, Form 2290, Form 2290 deadline, Form 2290 E-file, form 2290 electronic filing, Form 2290 filing, Form 2290 for tax year 2017, form 2290 heavy highway vehicle use tax return, form 2290 online, Heavy highway Vehicle use tax, Heavy Highway Vehicle Use Tax Return, Heavy Vehicle Use Tax, Heavy Vehicle Use tax form 2290, Highway Vehicle Use Tax, how to file 2290 online?, how to file irs form 2290?, HVUT Form 2290, irs 2290 filing, IRS Form 2290, IRS form 2290 e file, IRS Form 2290 Online Filing, IRS Tax Form 2290, New tax year 2017 HVUT, road tax form 2290, tax 2290 electronic filing, Truck Tax Form 2290, what is form 2290, where to file 2290 tax return? on March 20, 2018 by Tax Expert.